Make the most of your college experience by being a resident of the LaGrange campus community. 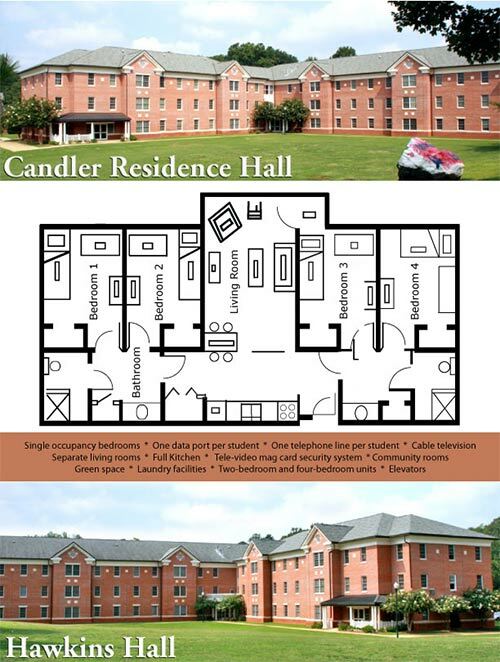 As a residential campus (you must live in college housing unless you meet one of the exemptions to live off-campus), we seek to provide you a unique opportunity to build connections, explore options and reflect on your journey. 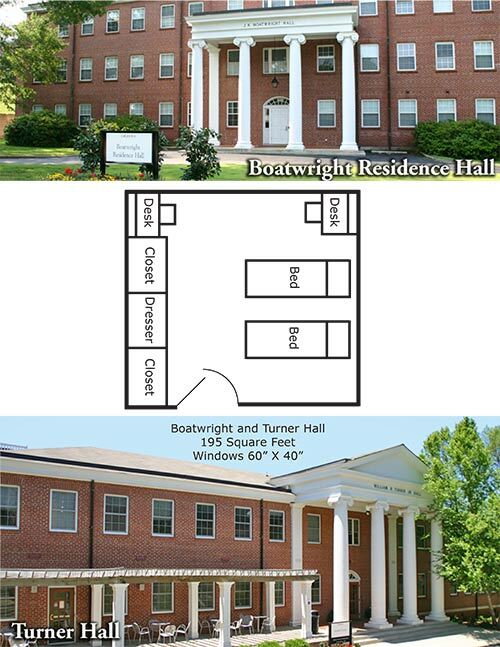 Boatwright Hall is a traditional, community-style residence hall for freshman males. Boatwright features three floors of double occupancy rooms with two community bathrooms on each floor. Each room comes equipped with wireless internet and cable television. Free laundry service is available in this building and can be found on the second floor. 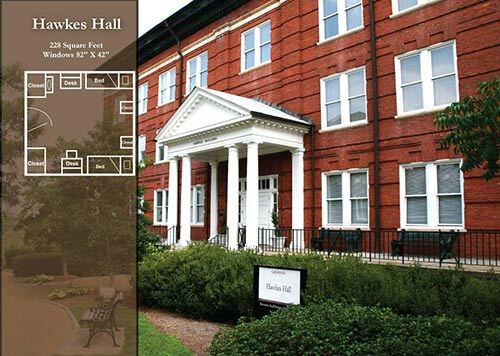 Hawkes Hall is a traditional, community-style residence hall for freshman females. Hawkes features hardwood floors and high ceilings in each of it double occupancy rooms on the second, third, and fourth floors, with each floor also having a community bathroom. (The first floor houses Education Department classrooms and offices.) Each room comes equipped with wireless internet and cable television. Free laundry service is available in this building on each floor. 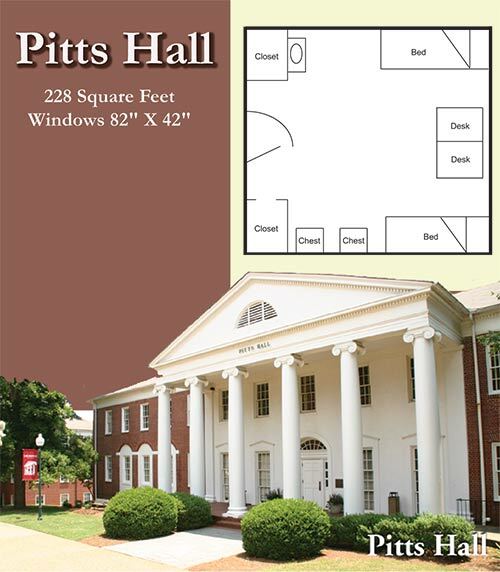 Pitts Hall is a traditional, community-style residence hall for freshman and upperclassman males. Pitts features double-occupancy rooms with community-style bathrooms. Each room comes equipped with wireless internet and cable television. Free laundry service is available in this building on each floor. Turner Hall is a traditional, community-style residence hall for freshman and upperclassman females located on the third floor of the building. Turner features double-occupancy rooms with two community style bathrooms. Each room comes equipped with a microwave, a mini-fridge, wireless internet and cable television. Free laundry service is available in this building on each floor. The first and second floor of Turner Hall house the Mabry Gipson Student Center, which features the campus grill, the campus security office, multiple student assembly rooms, as well as the Jones Zone Game Room and The Boopie gathering space. Completed in 2002, this three-story apartment-style hall frames the north end of the Residential Quadrangle. Arranged in either two- or four-bedroom floor plans with one bathroom per two students, the apartments are fully furnished and have full kitchens. Individual and common spaces include connections for cable TV and internet access. A community room is located on the end of the east wing. Completed in 2002, this three-story apartment-style hall frames the south end of the Residential Quadrangle. Arranged in either two- or four-bedroom floor plans with one bathroom per two students, the apartments are fully furnished and have full kitchens. 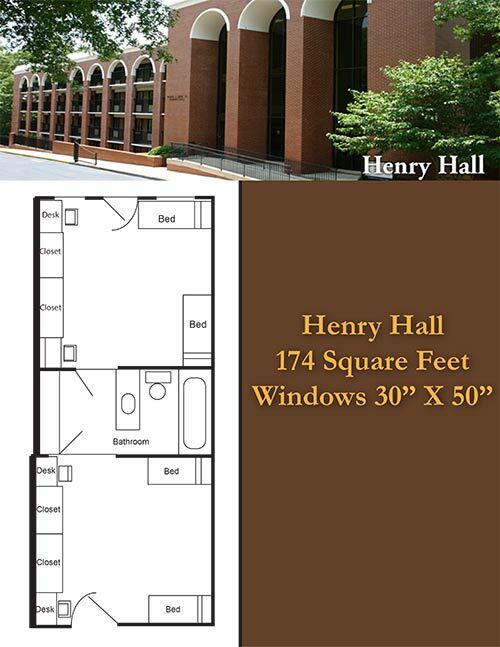 Henry Hall is a suite-style style residence hall that houses both freshmen and upperclassmen. Henry is co-ed by floor, meaning that males and females occupy separate floors in the building. Henry features four-person suites in which two double-occupancy rooms are joined by a bathroom and vanity area that the four residents share. Each room comes equipped with wireless internet and cable television. Henry Hall also features a 24-hour gym, a computer lab and the International Learning Community, a globally minded residential community housed on the third floor. Free laundry service is available in this building and is located on the first floor.